Contrary to popular belief, I'm actually very tolerant of crappy sushi. If you present to me a plate of sushi that is worth a C in one hand and a juicy, freshly smoked burger from a fancy restaurant in the other hand, I'd pick the sushi perhaps 8 out of 10 times. 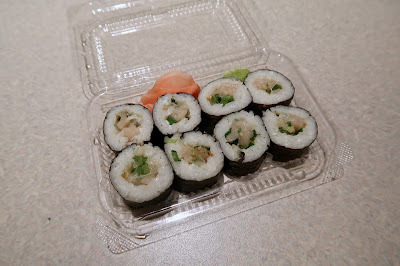 I often indulge in some delicious freezer burnt sushi on campus during my breaks and after my classes. As an SFU student, one question that I often get asked is "What's the best place for sushi on campus?" For years, I never had a very good response to that question because I had not tried all the sushi places on campus. It was time to settle the matter once and for all. 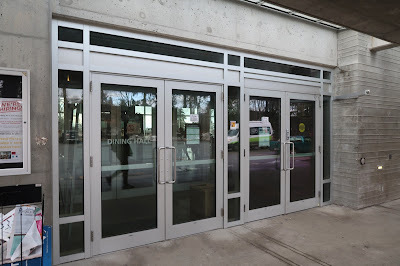 With five different places to go through on SFU's Burnaby campus, I enlisted the help of food blogger Vancity Noms because she can really eat... or so I thought. We chose to start our crawl at the Dining Hall to avoid having the good stuff run out. During lunch hours, it costs only $8.95 plus tax to enter the hall for an all-you-can-eat buffet, which is an excellent deal if quality is not your utmost concern. There is pizza, sushi, veggies, vegan food, chicken or beef (depending on the day), fried goodies, desserts, and more. Those who know me well will know that my brain does not exactly function in the morning and early afternoon. It didn't take long for disaster to strike. After taking 15 minutes to figure out where the plates were even stored, I looked at a tub of strawberry jam, pointed at it, and exclaimed, "OMG they have ice cream here!" Unfortunately, Vancity Noms developed such a bad stomachache from laughing so hard that she became unable to consume anything other than tea. We were off to a great start—one of us was down before we even started. 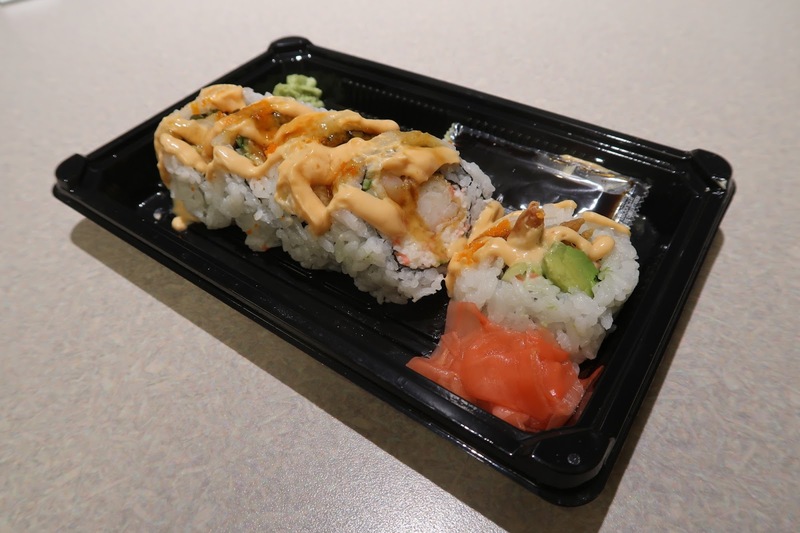 As soon as the clock struck 11:30 a.m., the chefs started rolling out the sushi, and the sushi of the day was the Salmon and Avocado Roll. It consisted of soft, flaky salmon accented by a dash of herby spiciness. The rice could have been more flavourful, but this was already much better than what I had expected. I have been told that the rolls are pre-made, but they do not taste like something that just came out of the fridge. Our next stop was Nesters Market, which was all the way on the other side of campus. I would often come here after my late evening lectures for some of their pre-made dinner bowls, many of which are decent compared to the other available food choices in the area. However, I have never tried their sushi before. Having downed two entrees and six pieces of sushi at the dining hall, I had to choose wisely to avoid stuffing myself and subsequently failing the crawl. I chose the California Roll Combo so I could sample three different types of sushi in one box. Meanwhile, Vancity Noms was still dying from her stomachache and could not eat anything. Who needs martial arts when you have your non-functioning brain to use as a lethal weapon? The second disaster of the day struck when my mouth met with the horrors of this roll combo. The pudding-like texture of the rice made the California Roll the most disgusting sushi roll I have ever had. 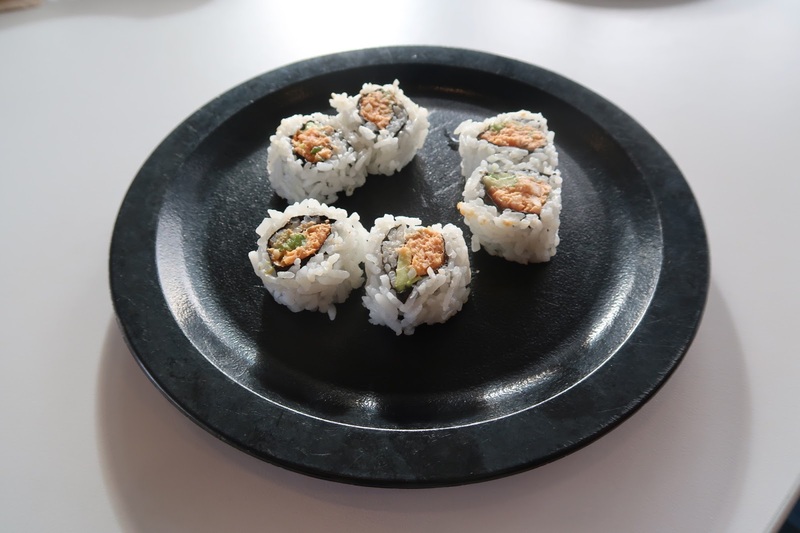 The sushi rice tasted like it had been tossed into a high-speed blender and pulverized for five minutes before being wrapped around the roll. 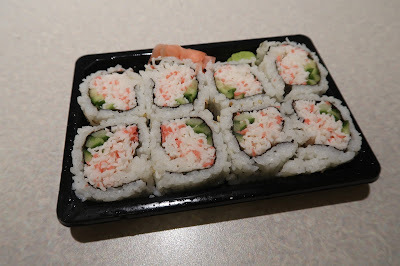 The California Roll also came with some dainty portions of bland crab meat, while the Vegetable Salad Roll contained bits of bell pepper for a nice unauthentic touch. The spiciness of the Spicy California Roll helped mask the blandness of the crab meat just slightly. 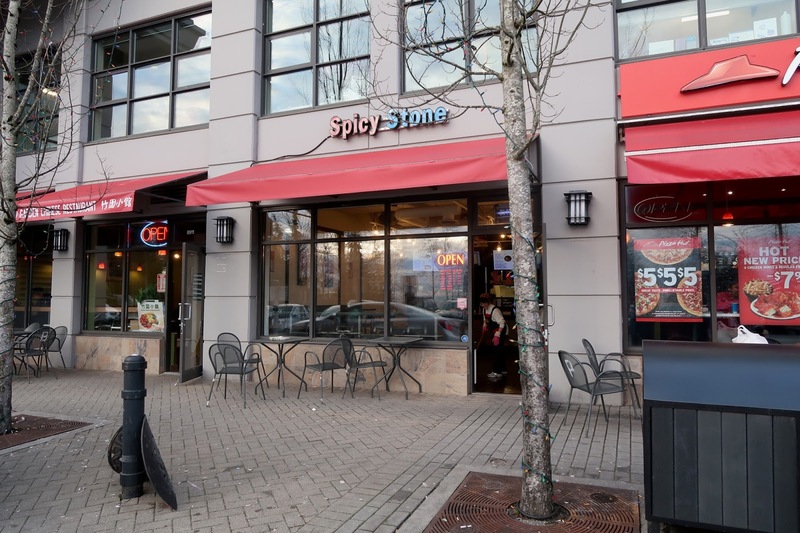 Just steps away from Nesters Market lies Spicy Stone, a restaurant I used to visit almost exclusively while at SFU due to its low prices. 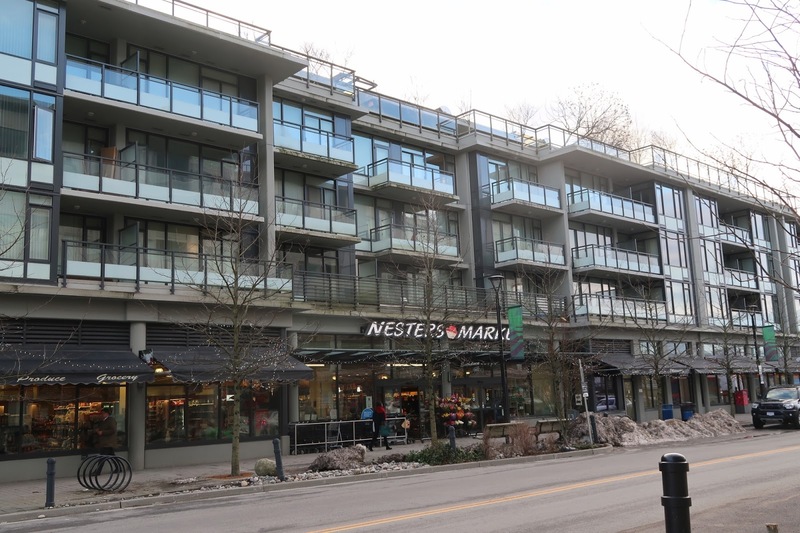 I suppose not all good things last forever, because they eventually raised their prices significantly to more closely match what their neighbours were charging. 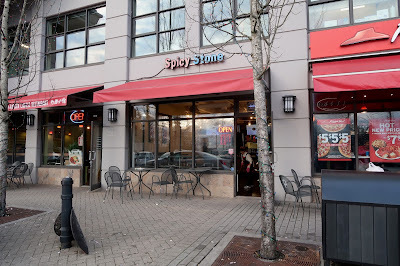 With the new poke bar at SFU, I have been going to Spicy Stone much less than I used to, although the cashier-server still recognizes me and continues to give me great service. 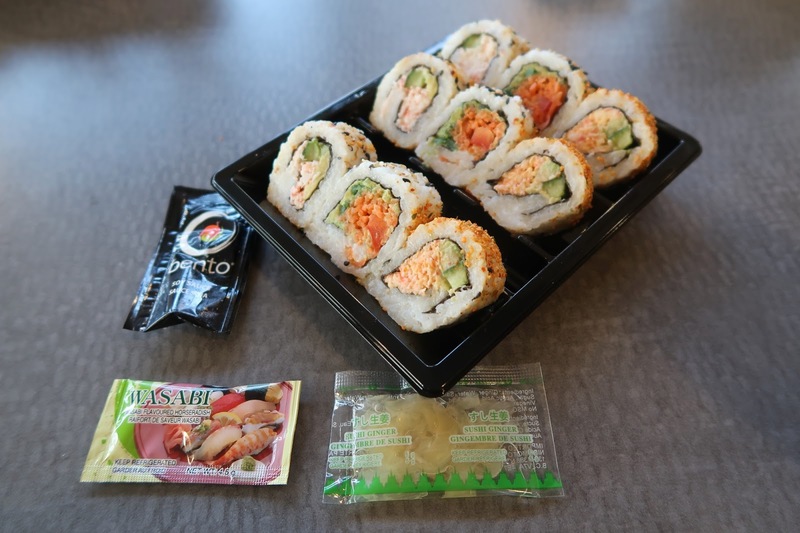 Unless you order your sushi as part of a bento box, you will most likely be told to get your sushi from the display refrigerator. 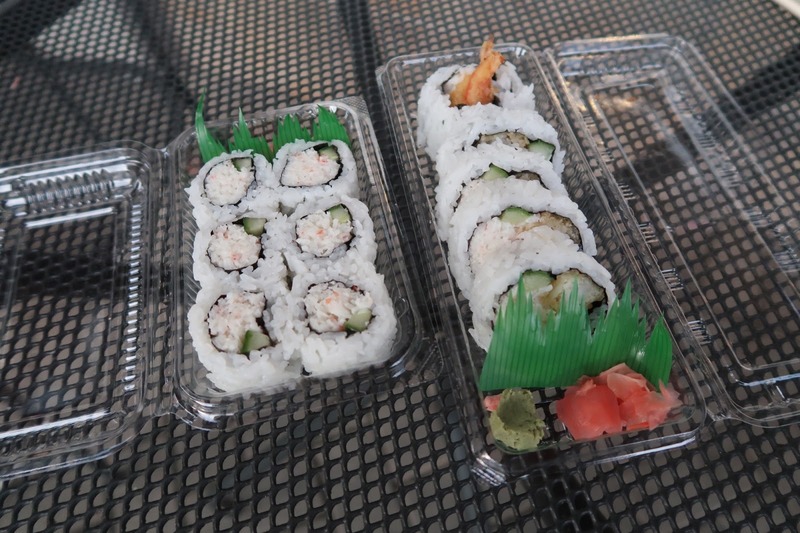 Such was the case with my California Roll and Dynamite Roll. However, these rolls still tasted decent. 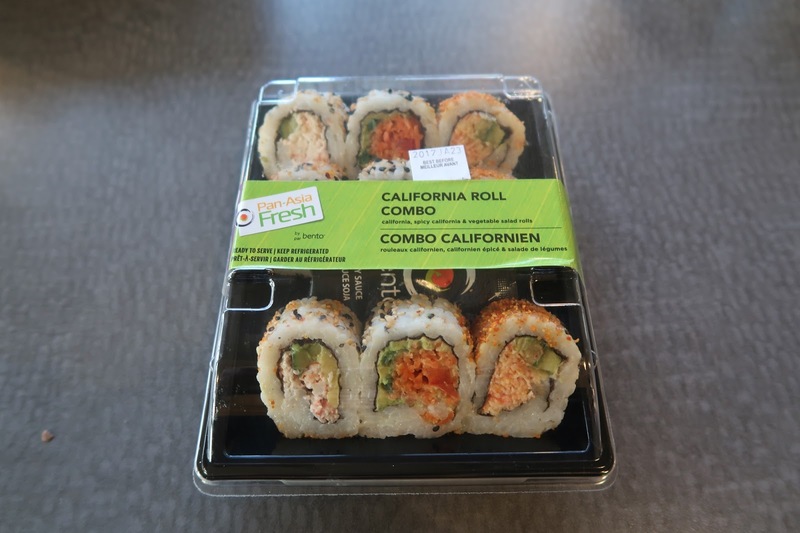 With the California Roll, the imitation crab meat was sweet, and you could actually discern the individual strands of crab meat, unlike with the California Roll from Nesters Market. The Dynamite Roll was larger and more filling, but Spicy Stone's weak tempura skills were evident here. 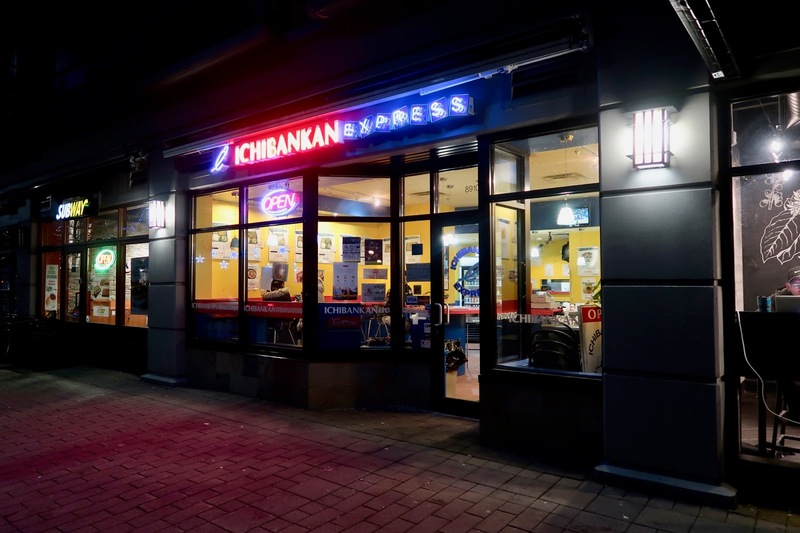 Ichibankan Express is currently the only restaurant at SFU that focuses on sushi. However, like Spicy Stone, the rolls typically come from the display refrigerator. The sushi at Ichibankan is not cheap either, and despite the word "Express" in its name, the restaurant actually has one of the slowest kitchens on campus. Nonetheless, I'm still a frequent patron since I don't really have much of a choice when I'm on campus and am craving something more than a standard California or Dynamite roll. The Negitoro contained slightly fishy tuna that was somewhat balanced out by the green onion. The rice was tightly packed, which made the roll quite chewy. I guess the moral of the story is that you can only expect so much from refrigerated pre-made sushi. The California Roll ended up strangely bland due to the lack of mayonnaise in the crab meat. The roll was also not very neatly constructed and fell apart very easily. 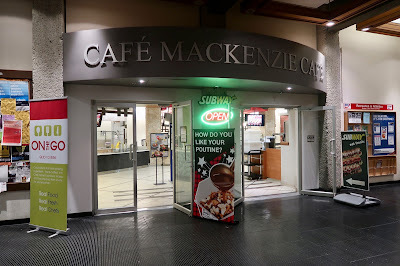 Our final destination was Mackenzie Café, which operates much like a small-scale food court with choices ranging from Subway to poutine to Asian stir-fried rice. Once again, the sushi was stored in a display refrigerator, and once again, it was quite pricey. I opted for a 5-piece Dynamite roll because it looked the most colourful and appealing. At $6.19, this roll was very expensive for the quality, but at least they put two deep-fried prawns inside. The crab meat had a nice pleasant creaminess to it, while the sauces were thick and had an interesting gluey consistency. Vancity Noms ended up fasting the entire 10 hours of the crawl (I'm not sure how she did it), but evidently, she didn't really miss out on much. Towards the end of the crawl, I was so stuffed and sick from consuming unreasonable quantities of soy sauce that I desperately advertised free sushi to my Snapchat friends. However, they either were not on campus or commented on how unappetizing my sushi looked. I sure have some wonderful, appreciative friends.